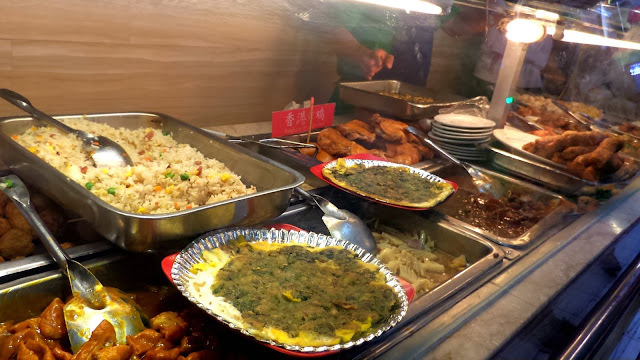 Four Season Cuisine along Ongpin Street in Binondo is a "carinderia" fastfood type of restaurant that serves all sorts of yummy Chinese dishes. And one thing that they are noted for are their congee and noodles. This is what you'll see upon entering the restaurant. There are more than several choices of dishes such as crab, shrimp, meat, and vegetables aside from congee, fried rice, and the noodles. They don't have a menu so you really need to check out the dishes right in front of you, place your order then find a table. Payment is done after the meal. Here's a close-up shot of the dishes that they are serving: fried rice, oyster cake, kikiam, crab, chicken, machang, etc. Daughter was feeling hungry or maybe she just missed eating oysters. I didn't know that its a huge serving and is good for 2 pax. She paired this with plain rice. The oysters tasted fresh and juicy. The sauce is sweet, salty and has some hint of crushed pepper. Thumbs up! Cost P180. And here's what I ordered: dumpling noodles. What I like is the noodles tasted freshly made, and is thick and chewy. The dumpling wrapper is kinda thick also and I would've preferred it thinner, but then, that's just me. Inside are minced vegetables with some meat. 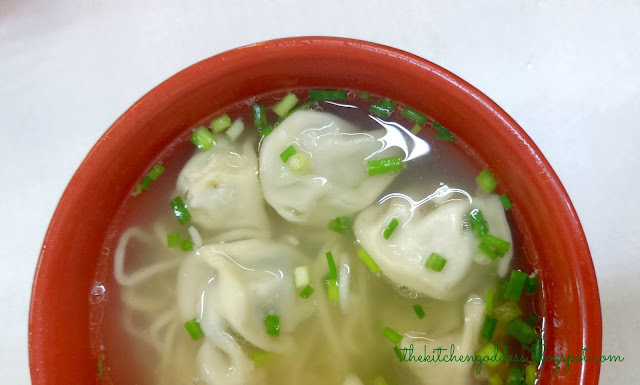 The broth is mildly flavored with scallions as well as the dumpling but you can easily adjust the taste with chili sauce or soy sauce. I thought I wasn't going finish all of it but I did. Yum! 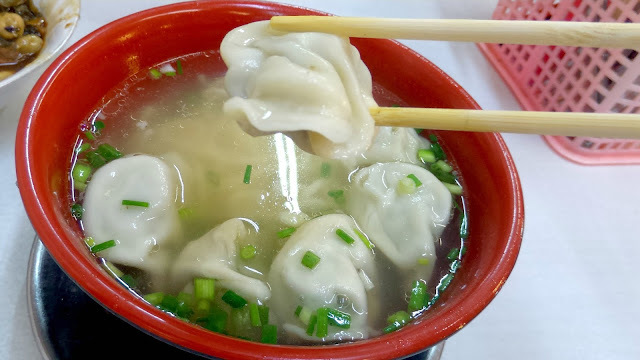 I'm definitely recommending this dumpling noodle soup. Cost P120. Here's what the restaurant looks outside. I can't seem to take a photo without someone walking by ... hehe. Dumpling noodle soup looks yummm! I am not a fan of Chinese food but this looks like a nice place. Waaah I need to get myself to Ongpin! I love Chinese food. Haven't tried any oyster dishes yet but that looks yummy and full of flavor. Husband teased me before. You will know daw that one is aging Na if he prefers Chinese restaurants over other diners. Before, he doesn't like Chinese restaurants but now, we often have our family dinners at a Chinese restaurant Na. Ihihi. No wonder malulusog mostly ang mga mommies, we pick the perfect places to eat! I have never been to Binondo. Now I know a place to go when we go there. Hubby will surely love those oysters, too! I'd like to try their congee. I love Chinese dood especially dumplings! 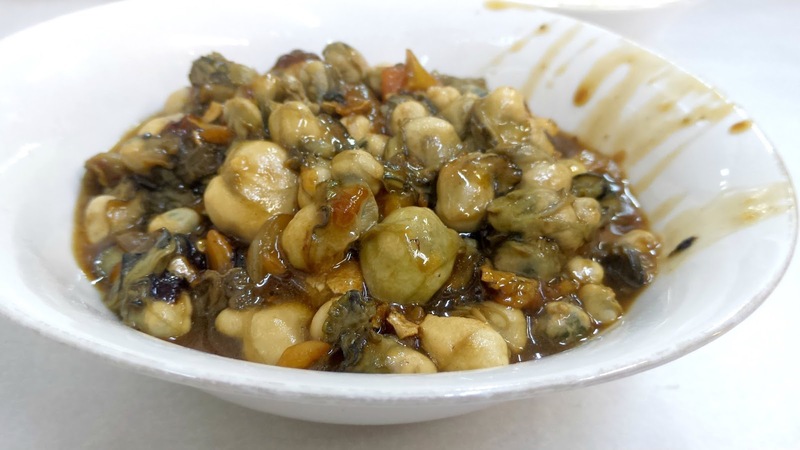 I miss those ongpin carinderia type restaus. We used to go there every weekend with my family when I was still single. Dumpling soup looks yummy! Haven't reallt tried oysters yet but looks nice! I love Chinese food! 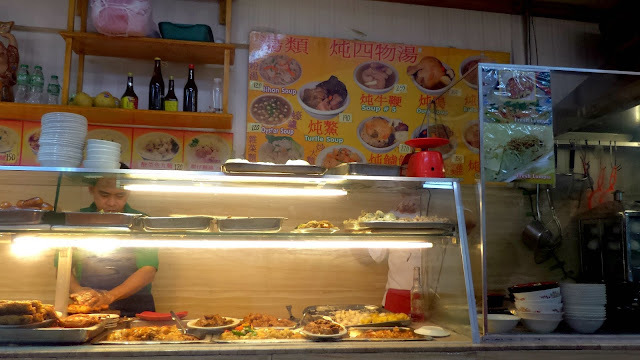 Sarap mag food trip sa Binondo. The oysters look so yummy! 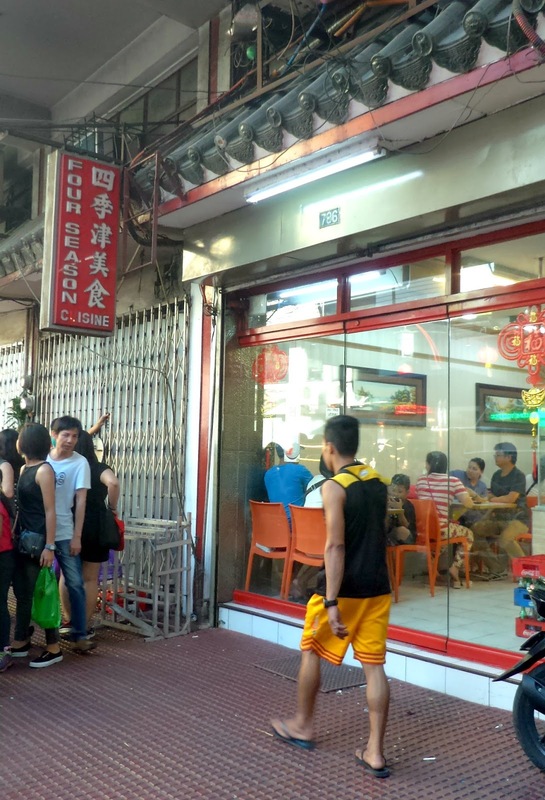 Sarap mag food trip sa Binondo! I love Chinese food. Those oysters really look delicious. Oooh dumpling soup. I wish I could have some right now. Your photo got me craving! Chinese food isn't my first choice but that soup does look delicious!